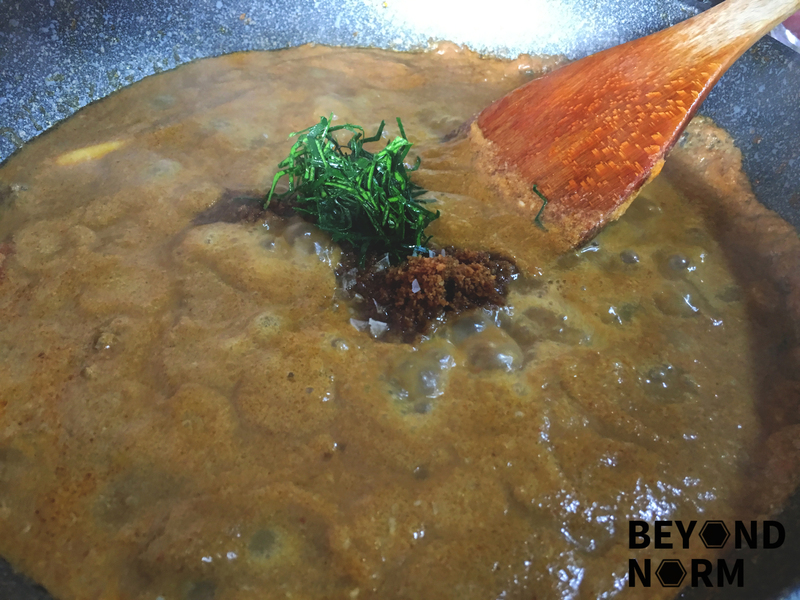 I have shunned cooking Rendang from scratch for the longest period of time because I always felt that it is a difficult dish to accomplish. How on earth do I cook a dish till most of the ‘liquid’ has been absorbed into the meat and not burn the dish? I was so glad that in recent time, I took a bold step to embark on this dish. 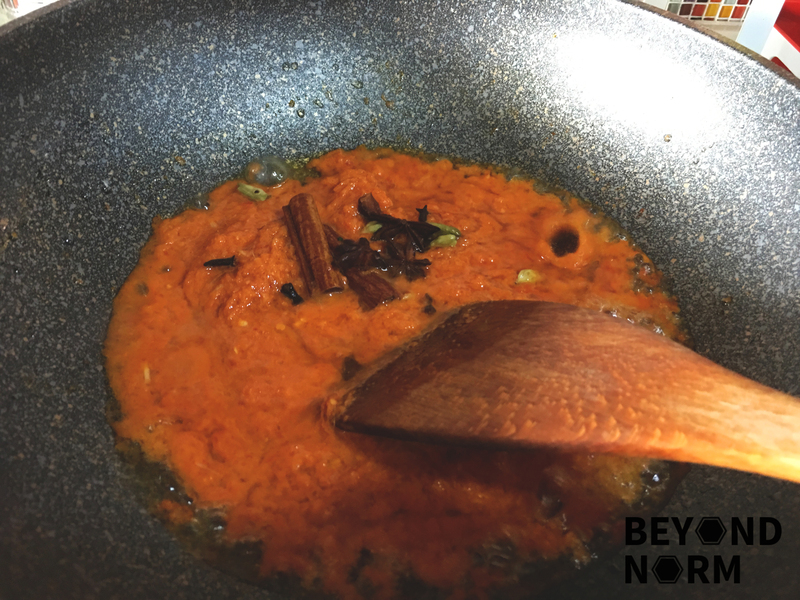 Once you get a hang of it, you will love to make your own rempah (spice paste) as it beats all the ready-made Rendang paste from the stores. 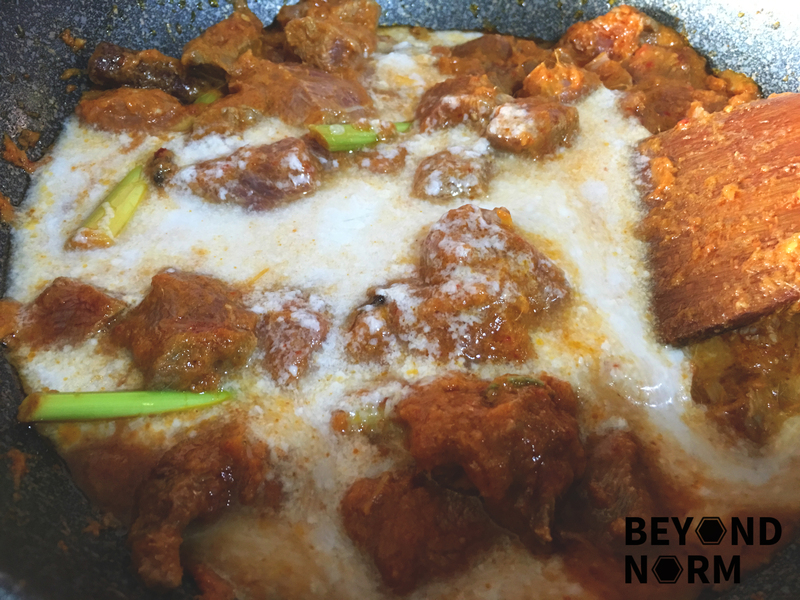 It was definitely confirmed by my son when he remarked that my home-made Rendang taste so much better than those made from ready-made paste. The beef which is slowly braised with the fried flavourful spices, paste, coconut milk, kerisik and shredded kaffir leaves will create an extremely delicious coating on the outside of the beef. 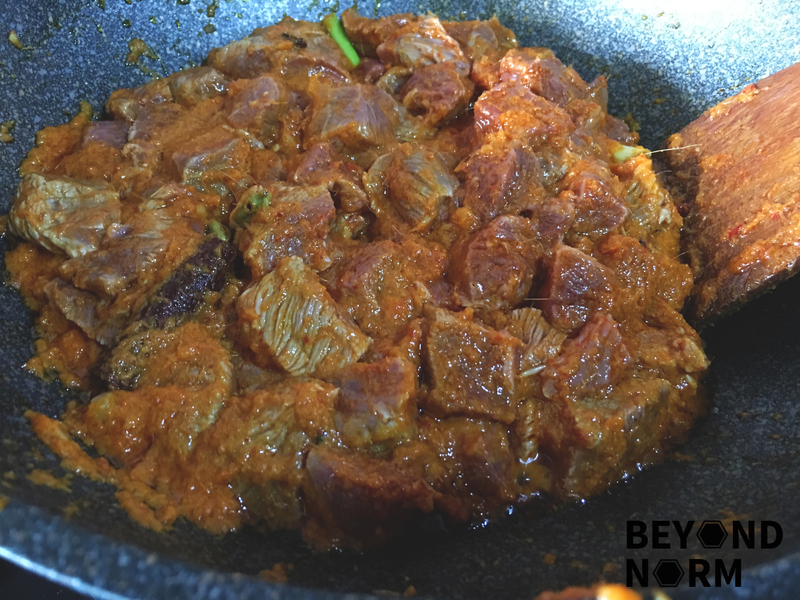 As Rendang gets better over time, it will be wonderful if you can serve them the following day but mine has never lasted more than the day I cooked it. (It only shows how good they are!!) 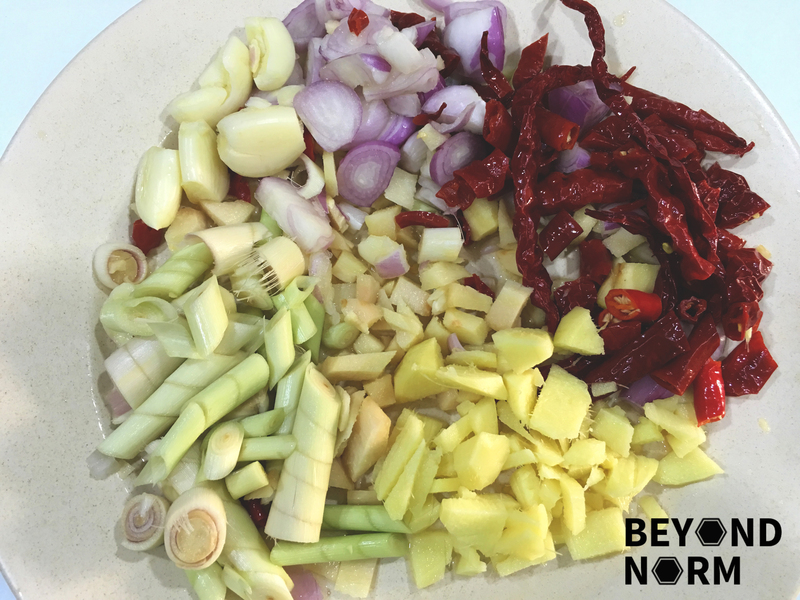 Beware, the taste will linger in your mouth and this will cause you to long for more…..
Cut the spice paste ingredients into smaller pieces. 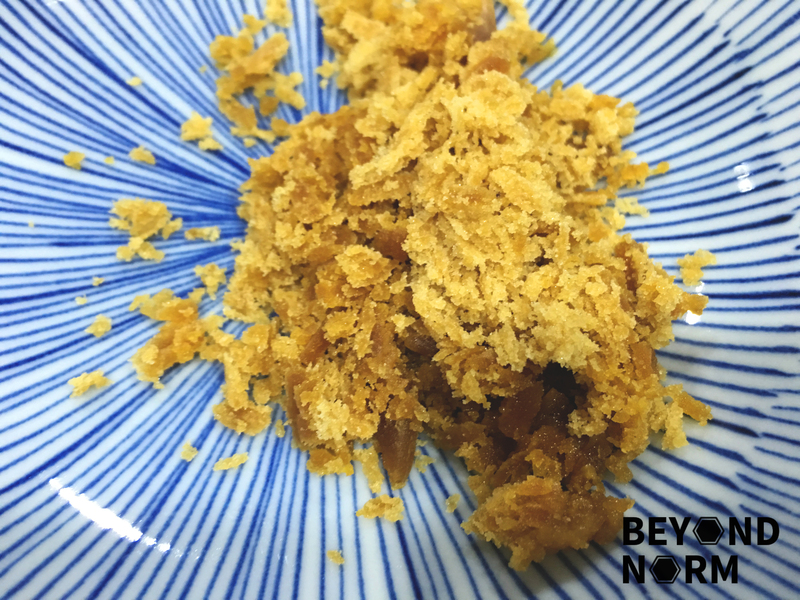 Then pound with a mortar and pestle or blend them in a food processor until fine. Heat the oil in a non-stick pan/stew pot. 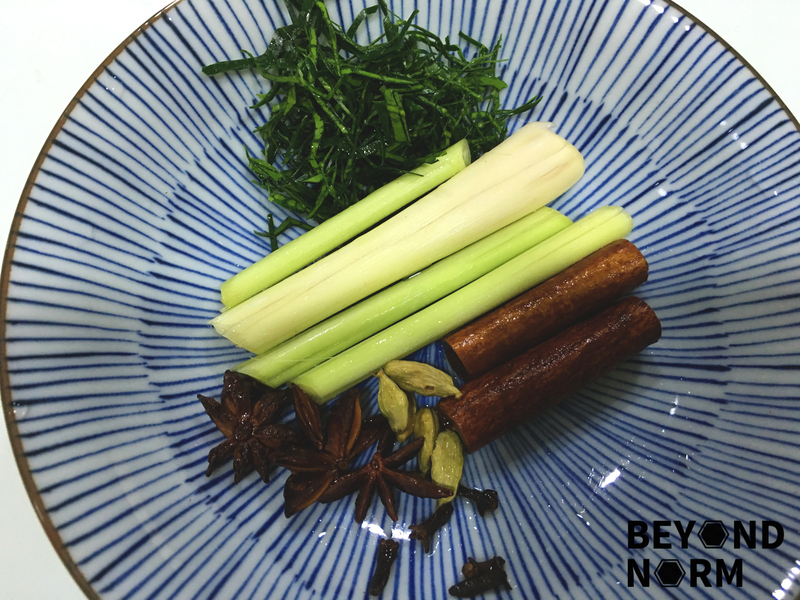 Add the spice paste, cinnamon, cloves, star anise, and cardamom and stir-fry them until aromatic. Then add the beef and the pounded lemongrass and stir for 1 to 2 minute. 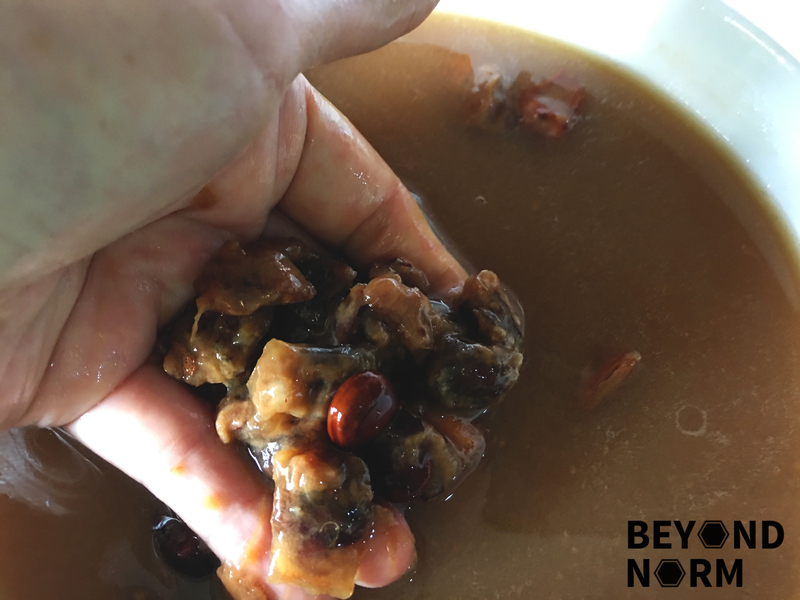 Next, add the coconut milk, tamarind juice, and water. Simmer on medium heat, stirring frequently until the meat is almost cooked. 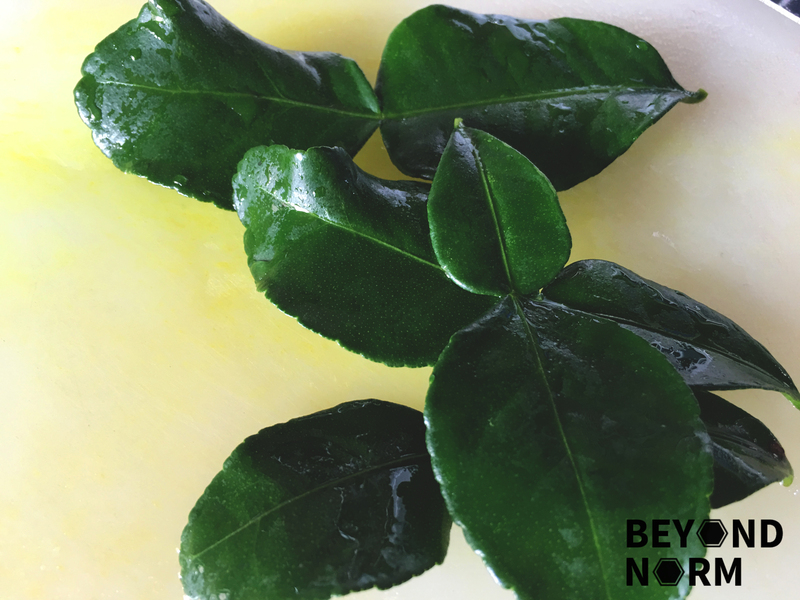 Add the shredded kaffir lime leaves, kerisik (toasted coconut) and sugar/gula Melaka. Stir to mix them well with the meat. Bring the heat to low and cover the pan/pot and simmer for 1 – 1 ½ hours or until the meat is really tender and the gravy has dried up. Serve immediately with nasi lemak (coconut rice – Click here link for the recipe) or with lontong. This looks amazing! 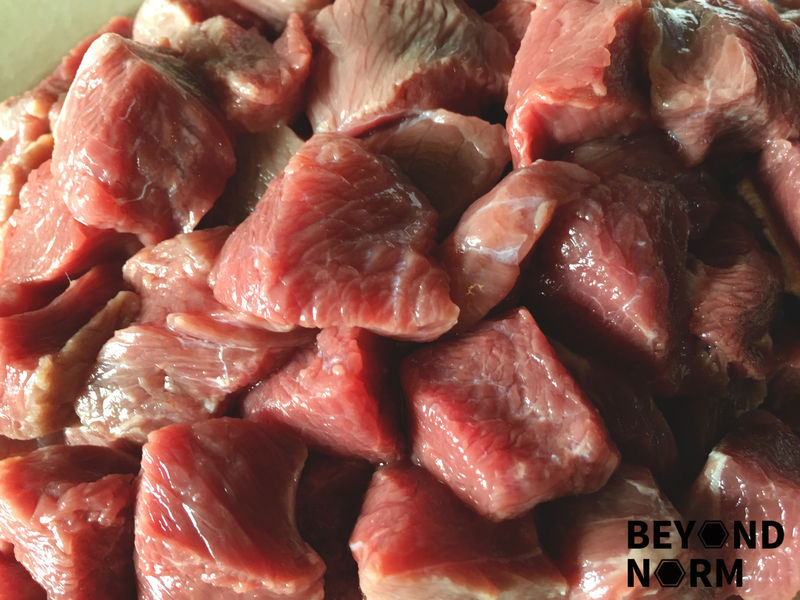 Do you know what cut of beef would be best?